I haven't met a kid who wasn't interested in one of the STEM disciplines (science, technology, engineering, math) in one way or another. Why not fuel that interest with some fun STEM inspired clothing? Whether you are shopping for back to school, a birthday gift or just because, you'll find something here that your favorite kid (or adult!) will love. 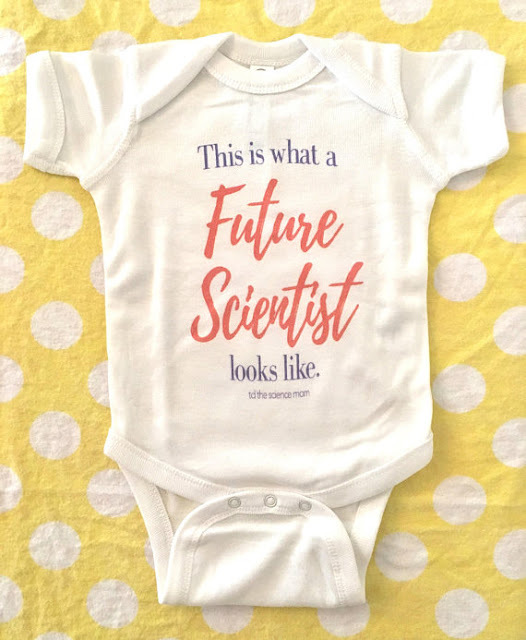 I've been excited to find more and more clothing featuring things like dinos and space available for girls as well as boys. 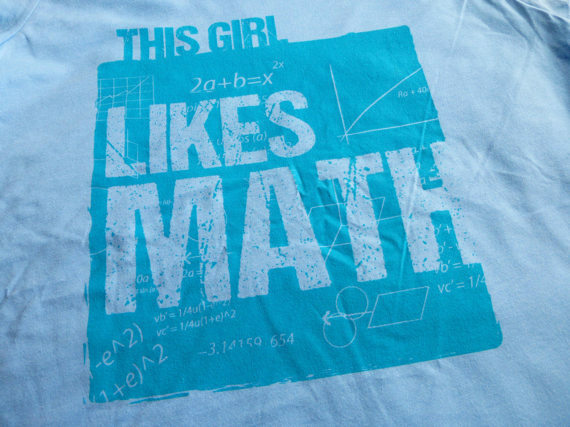 It's also nice to find clothes for boys that aren't only about sports! 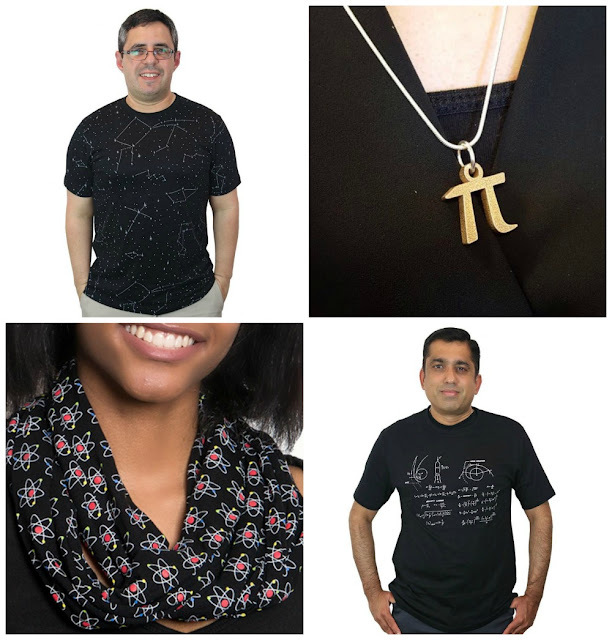 Here is a collection of affordable, fun clothing featuring everything from animals, to atoms, to computer code. 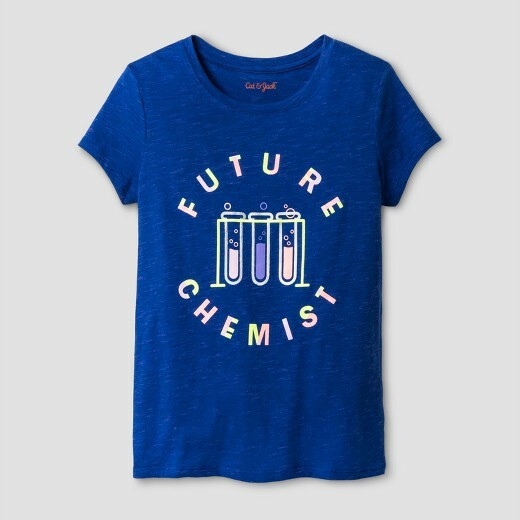 Inspire and empower your children through their wardrobe, or give a fun gift to your favorite science teacher with these picks. This post contains affiliate links meaning I receive a small commission if you make a purchase after clicking a link, please see disclosures for details. 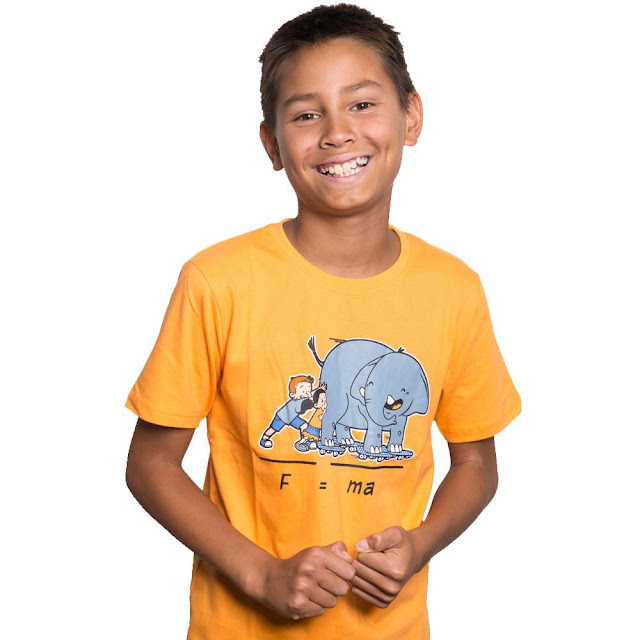 Svaha apparel has really fun, unique, clothing that empowers kids who love science and the other STEM disciplines. 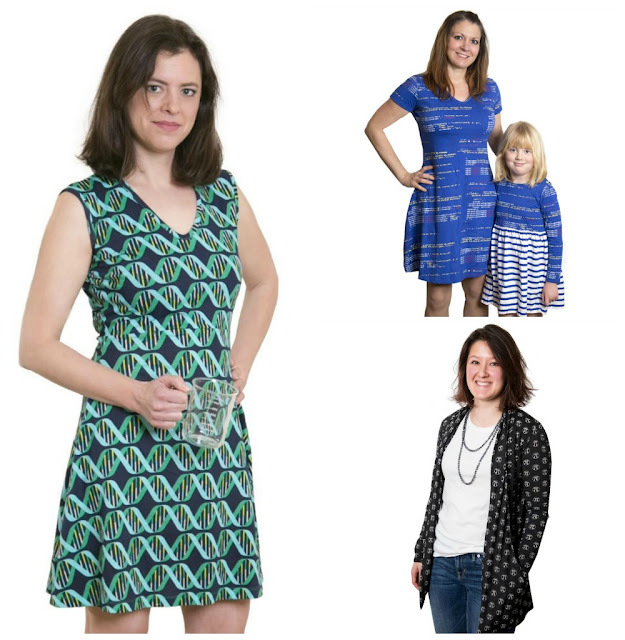 They also have a great line of Ms. Frizzle-worthy dresses for women! 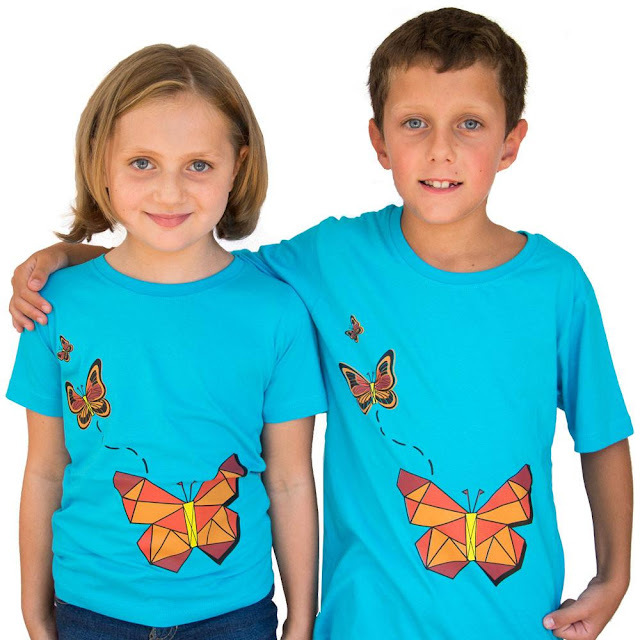 From computer coding and solar eclipse dresses, to science experiment, rocket ship and geometric shape butterflies, Svaha has a wide selection of fun kids clothing that I would have gone ga-ga for as a child. You will also want to check out their clearance section to grab some great deals. Click on the images below for more info. I love the dresses for adults. 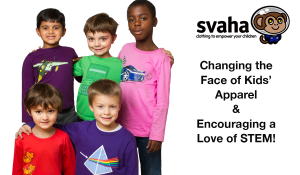 I wish I had known about Svaha when I was in the classroom! 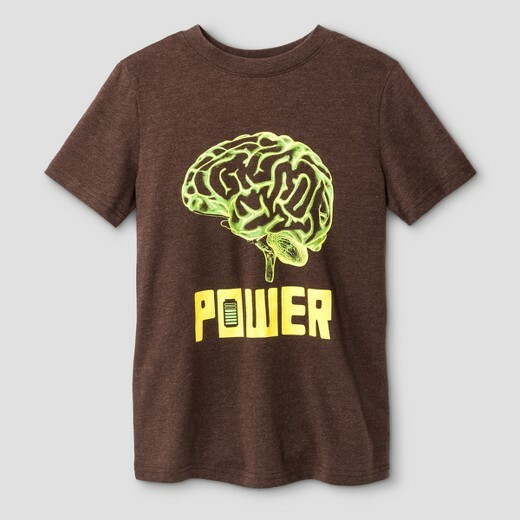 You'll also find accessories and unisex science t-shirts for the grown-up crowd. 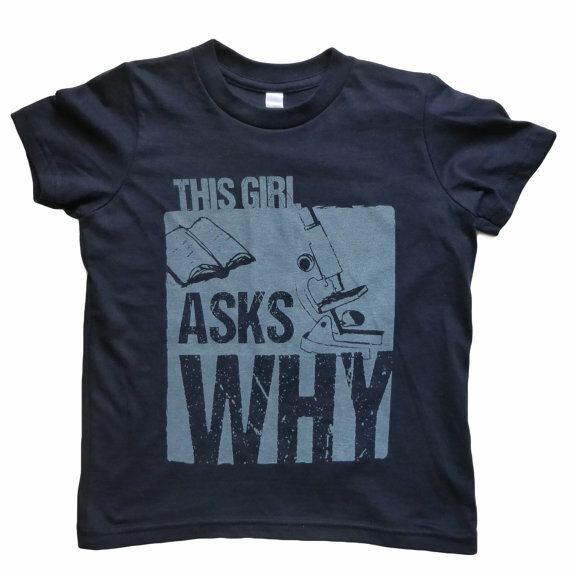 One more place I like to look for cool kid's clothes is Etsy. The products are unique and I know that I am supporting small businesses in the process. 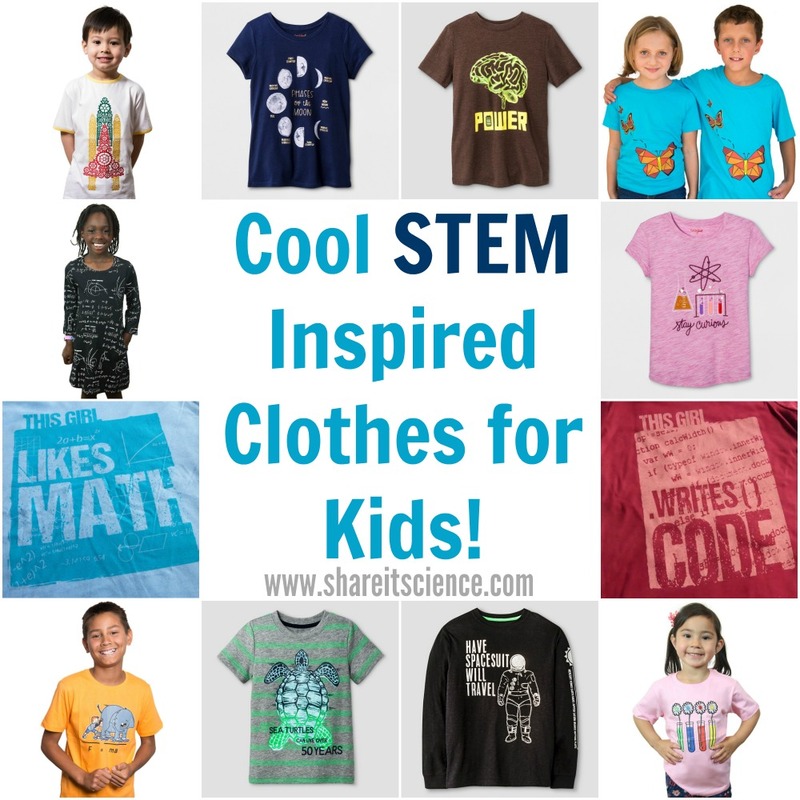 There are many shops that create fun STEM clothes including td the science mom, "Children's Apparel that Promotes STEM Education". You'll find great handmade clothing here and fun onesies like this one. 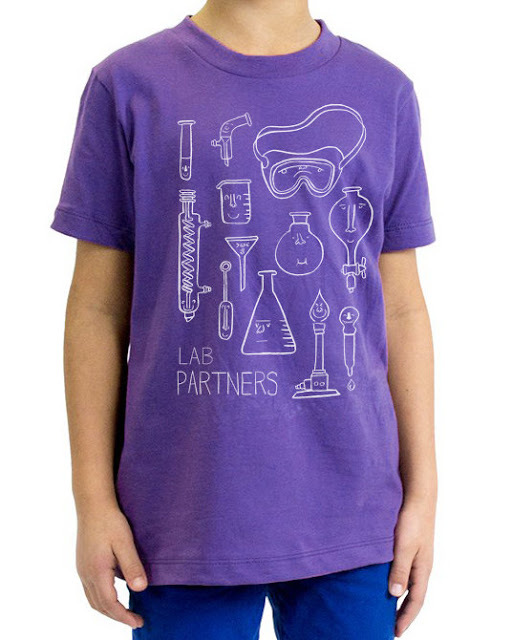 I also like this cute "Lab Partners" shirt from Cognitive Surplus. 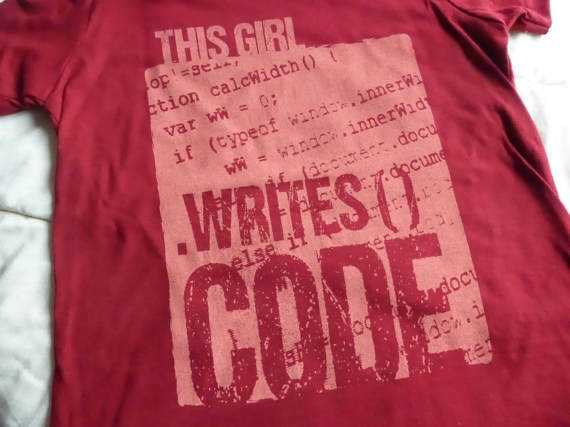 One of my favorite shops for promoting STEM for girls is This Girl's Tees. 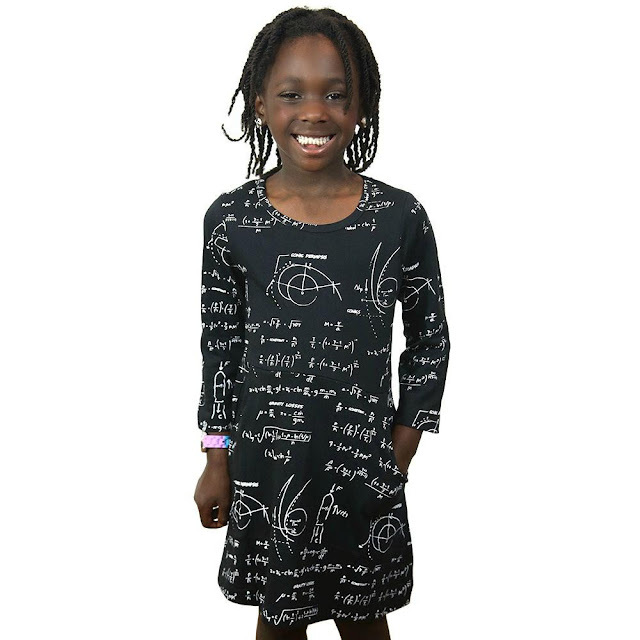 Unique t-shirts for girls who like math, coding and science. I really like some of the items in the "Cat and Jack" line available at Target. They have cool graphics as well as science facts. The prices are very affordable (often under $10) and they are guaranteed for returns up to a year, as long as you have your receipt. 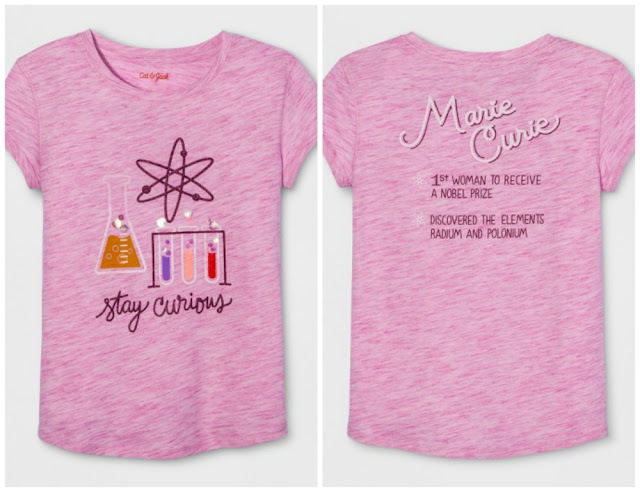 Great message "stay curious" with facts about Marie Curie on the back of this tee. 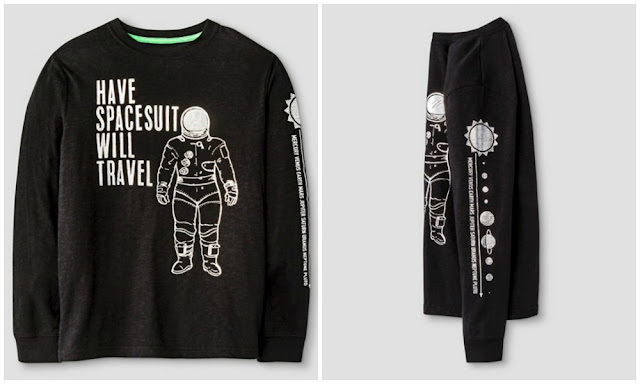 Or this one with a fun astronaut graphic on the front and planets down the sleeve. 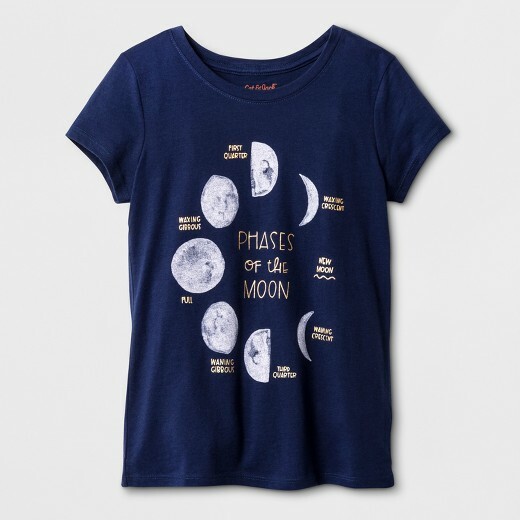 Moon phases, brain power and "future chemist" are favorites of ours, too. 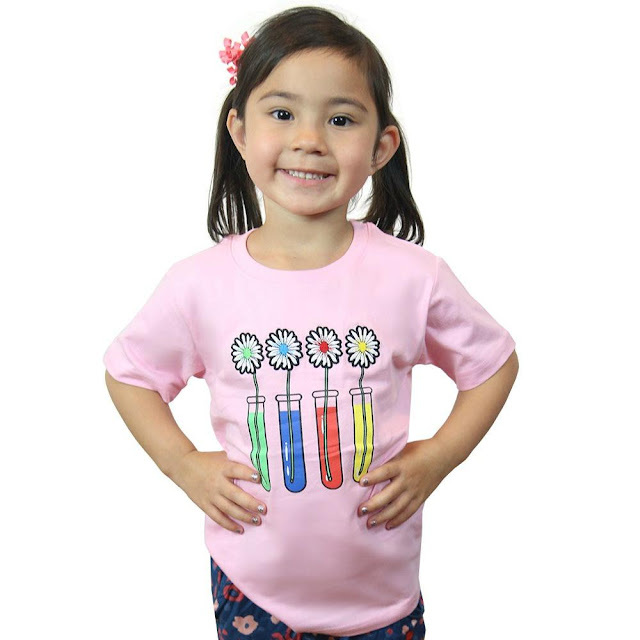 They also have cool science shirts for toddlers too. 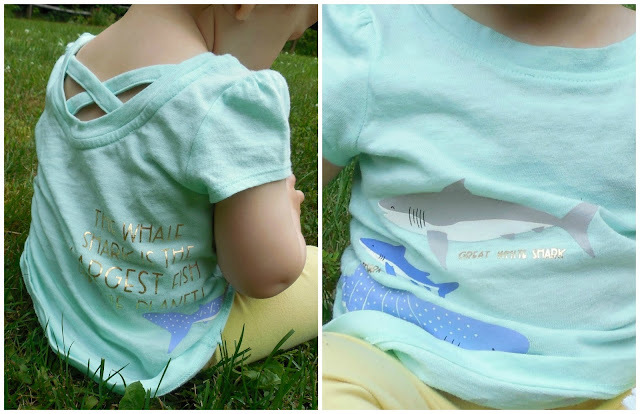 We love this shark fact shirt that a friend gifted our daughter. 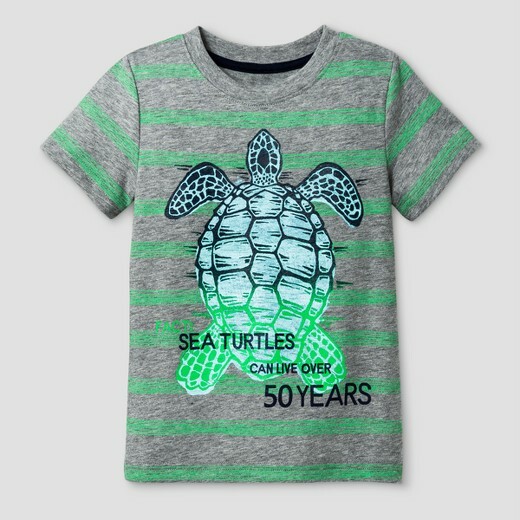 This sea turtle shirt is great too! If your kids love STEM, you'll want to check out this great list of hands-on science books, and the STEAM Kids activity book, with a STEAM (STEM plus Art) activity for every week of the year!